Every year I make apple butter and then Alex cans it. Apple butter is something I always remember having while sitting at my Ohio grandmother's table. I don't find that many Mainers make it and often I have to describe what I'm talking about because it's just not that common. (In fact, when I spoke to a farmer at the fair about making a pear butter, she had no idea what I was talking about.) Apple butter is basically a dark, spicy, thicker than apple sauce, spread. We used to butter our evening bread with it at dinner when I was a kid. 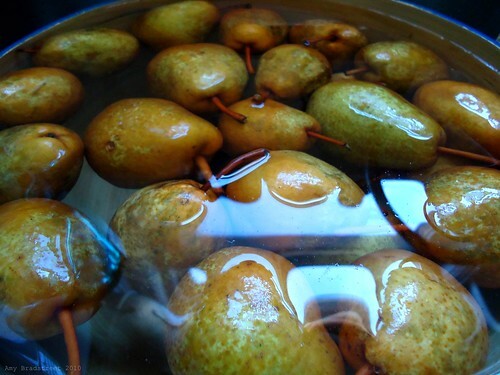 Because we picked up four pounds of organic Luscious pears at the fair, I'm making pear butter, too. 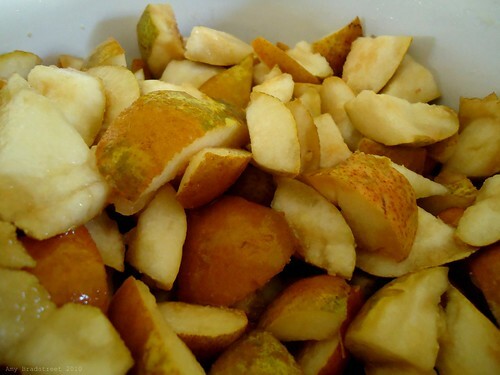 For the pear butter, I'm just using the same recipe as for the apple butter, mostly because in my search for pear butter recipes I kept finding ones that started with make pear sauce then add four cups pear sauce to the pot...and that didn't make any sense. Also, I'm not making anything with Splenda, ew. A word about my method, if it can be called that: I'm one of those cooks who has a bad habit of skimming the ingredients list then throwing everything into the pot. I've made the apple butter following precise directions before or by adding the sugar and spices at once, and I have found no difference between the two methods. 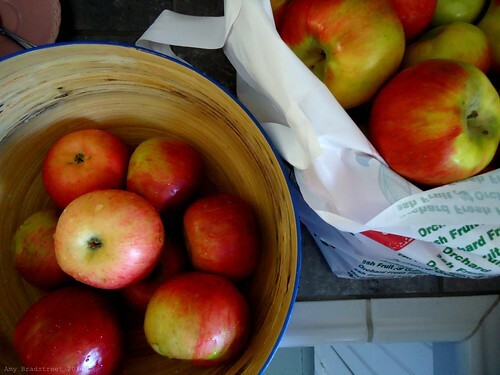 And, if at all possible, use organic apples, and lots of them, for this, as the peels are not removed to make the butter. 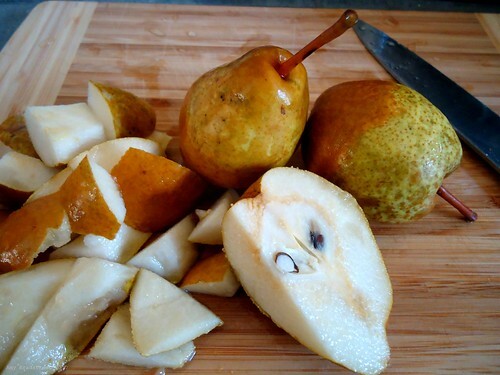 Same deal with the pears. As it happens, my family has grown to love apple butter on fresh baked bread. It's a family traditon. cooker. 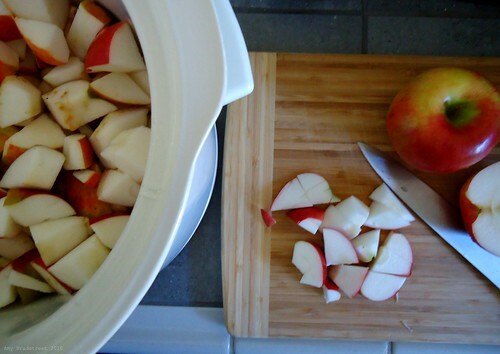 Cover and cook on Low 10 to 12 hours or until apples are mushy. 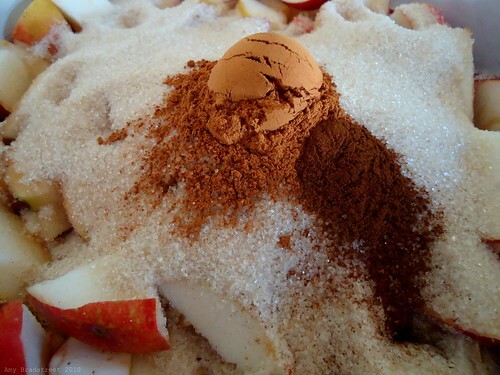 sugar, cinnamon, and cloves. Cover and cook on Low 1 hour. into freezer containers and freeze. *I use a stick blender in the crockpot to puree the mixture. About the pear butter: it looks as if the peels are a bit tougher, which means it will take a bit more cooking and blending, but I don't anticipate this to be a problem. Aren't stick blenders amazing! I got one (well 2 actually, My family members think alike apparently) for my birthday and it is awesome. My immersion blender and my new beautiful wooden spatula from common ground are my current kitchen loves. 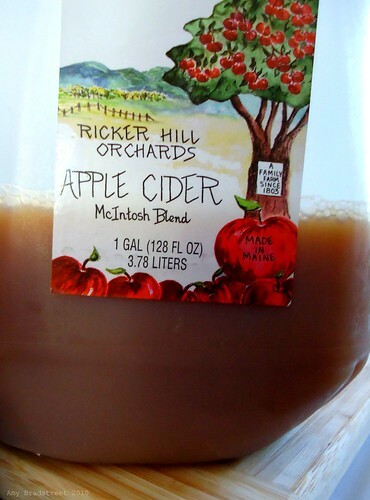 This has insppired me, maybe I'll make some apple butter and freeze it. I haven't ventured into canning yet. Heavenly! I was just thinking of this very thing. I can't wait to get to it. Thanks! Yummalicious! I plan on trying out this recipe... thank you for sharing! 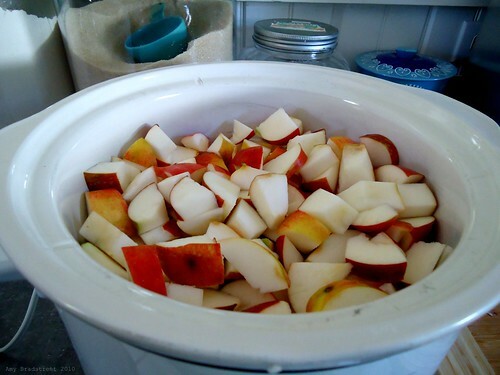 I grew up with apple butter and I'm a native Mainer, but I've never tried making it in a crock pot. Thanks for sharing!